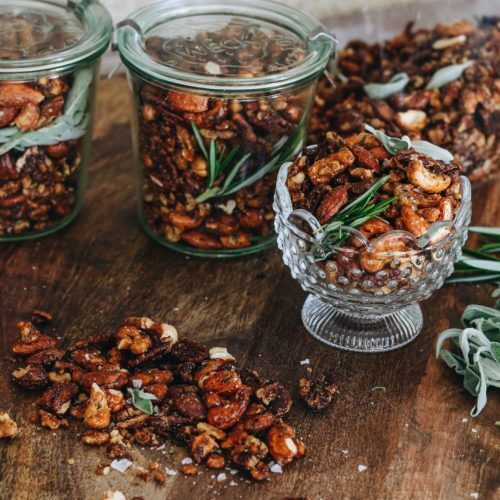 On a large rimmed baking sheet, toss the mixed nuts with maple syrup, sugar, olive oil, chipotle or harissa powder, 3 tablespoons rosemary, half the sage, salt and pepper. 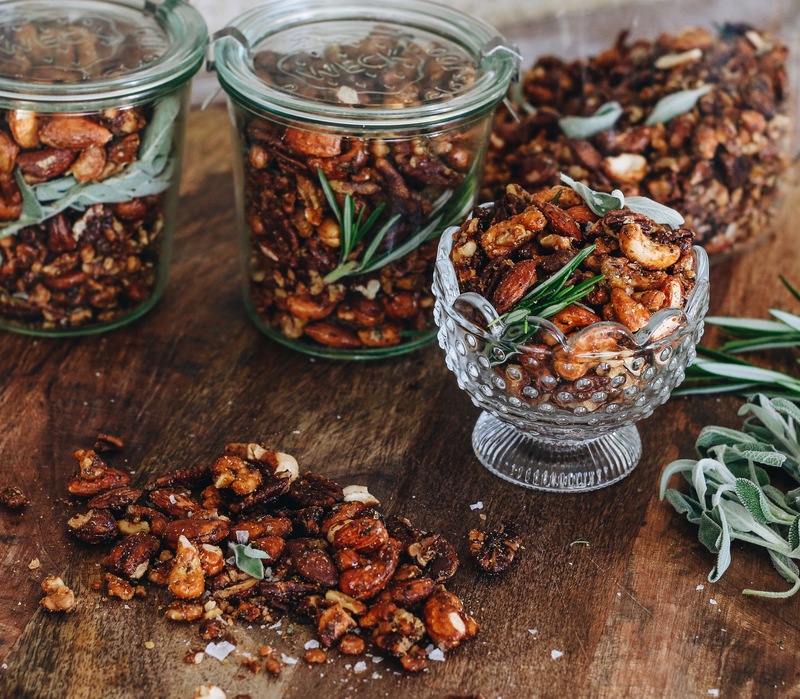 Roast the nuts for 25 - 30 minutes, until crisp but not too brown; stirring twice with a metal spatula or spoon to prevent nuts from clumping together. Remove from the oven and sprinkle with remaining rosemary and sage. Toss well and let nuts cool on the baking sheet. Taste for seasoning , add more salt if needed and serve warm or transfer to an airtight container. Store at room temperature.